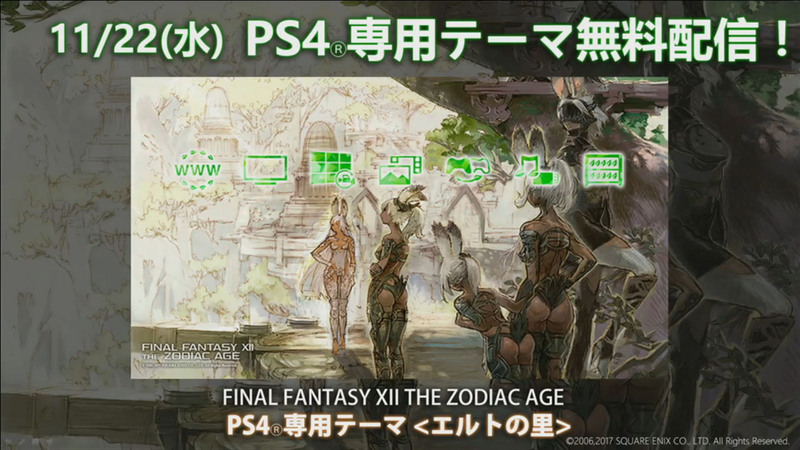 Square Enix has announced a new update on the way for Final Fantasy XII: The Zodiac Age. Due out tomorrow (November 22), players can experience once again the Sky Pirate’s Den that was originally passed on for the HD remaster release. 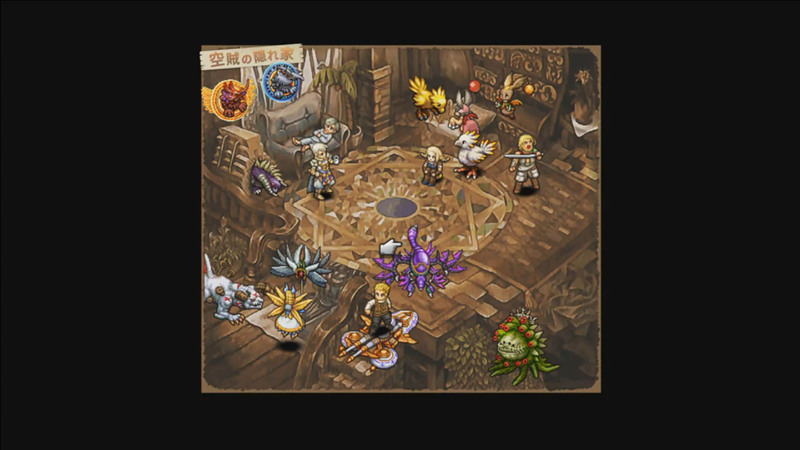 Featured in the original PS2 version, the Sky Pirate’s Den is a place where character and monster sprites appear after completing various conditions. Brought up from the menu, players can use the Den to earn titles and learn the details on how each sprite is eventually earned. Additionally, Square Enix will be bringing forth an all-new PlayStation 4 theme. Titled “Eruty Village”, the theme features art by Hideo Minaba and will be available free of cost from the Japanese PlayStation store. Oh wow nice. One thing I got annoyed about was the fact they took the Den out of the HD version of the game…that and the opening movie. So good they’re putting one of those things back in. …This is the big announcement? Don’t get me wrong, I was disappointed that they’d removed it too, but….for real? This is what they made people wait a week for? Japanese store gets that theme!? Oh come on, I want that too! For… Uh…. Reasons.